Palmer dismissed the notion that there was a slowdown in key markets. 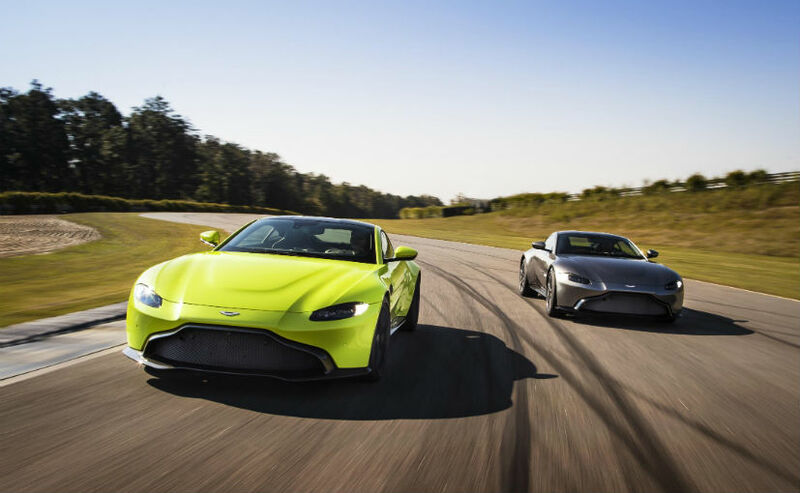 Luxury carmaker Aston Martin has not yet seen a slowdown in its key markets and aims to more than double the number of cars it makes by 2025, its chief executive said on Sunday.The British automaker, whose sports cars feature in James Bond films, is on target to produce 6,400 vehicles this year despite the pressures of slowing Chinese demand and worries over the impact of Brexit. The company is looking to manufacture 14,000 cars by 2025 with the size of the company growing four-fold from what it was in 2014, said CEO Andy Palmer.It will also become a very profitable company, he said. In 2017, Aston Martin made a pre-tax profit of 87 million pounds ($111 million), its first annual pre-tax profit since 2010. "The rich are getting richer, they want more personalization," Palmer told Reuters in Abu Dhabi on the sidelines of the Abu Dhabi Grand Prix where Aston Martin is the title sponsor of the Red Bull Formula One team. "On the other hand, the car industry is getting more and more commoditized because of technology," he added. Palmer dismissed the notion that there was a slowdown in key markets. In the year-to-date the company saw turnover grow 185 percent in the U.S; 133 percent growth in Asia-Pacific and 118 percent growth in China, he said. "The retail part is not in dispute. China was slow, but not for us," he said. The company is confident it will achieve higher profits in 2018 over last year minus the one-off costs such as those related to its initial public offering in October. "If you focus on EBITDA, then yes we obviously will see growth. Excluding one-off costs, last 12 months, it all looks very healthy," he said, without citing figures. Adjusted EBITDA more than doubled to 207 million pounds in 2017. The company is on track to launch its new sport utility vehicle (SUV) in late 2019. It is betting on existing Aston Martin customers who also have an SUV in their garage, Palmer said, adding that demand for SUV's in the Middle East North Africa (MENA) region was similar in size to China.